You may wish to mark an event or anniversary, celebrate a new building or outdoor space, or just bring people together to create something beautiful. 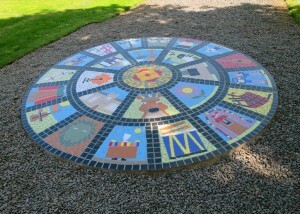 You can create a mosaic for inside or outside – a wall mural, floor mural, human sundial, seating or ideas of your own! 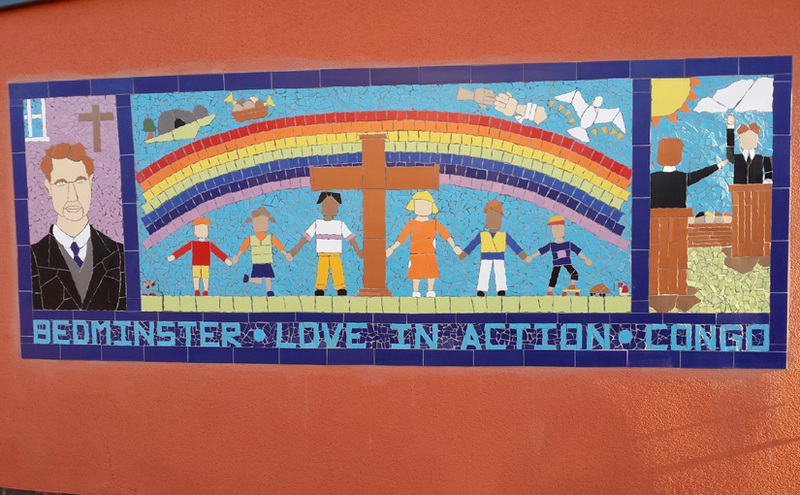 Have a look at the gallery for lots of inspiration – the mosaic can be based on logos, buildings, people, animals, faith, environment, stories, events….and the group will be involved from design to completion. 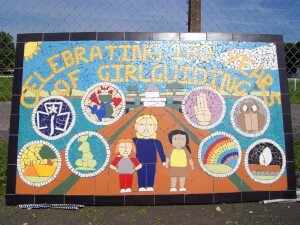 Pease also see project ideas & prices, testimonials and a full list of community groups I have worked with. 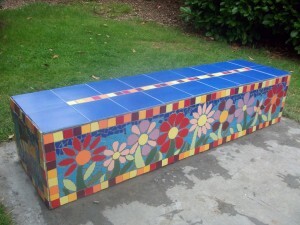 Wording can be included (size allowing) and a plaque or tile added to name and date the creation. Please contact me to chat through any questions or ideas and I will provide a no-obligation costed proposal.